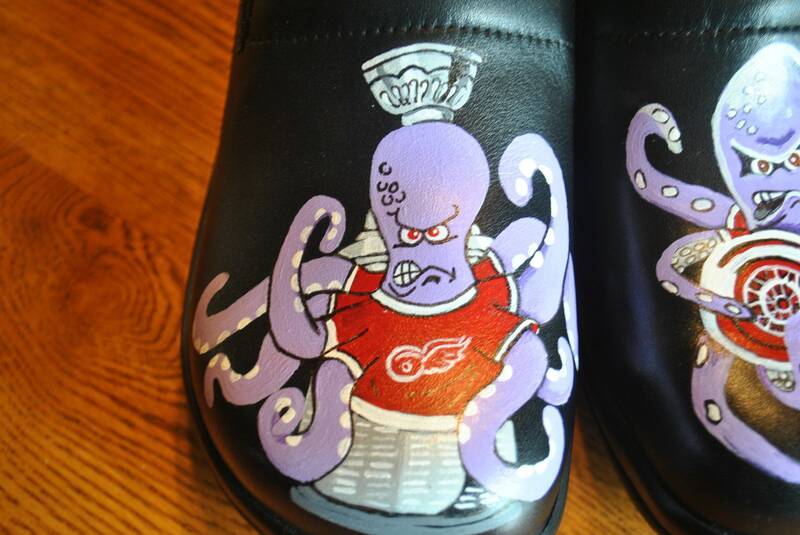 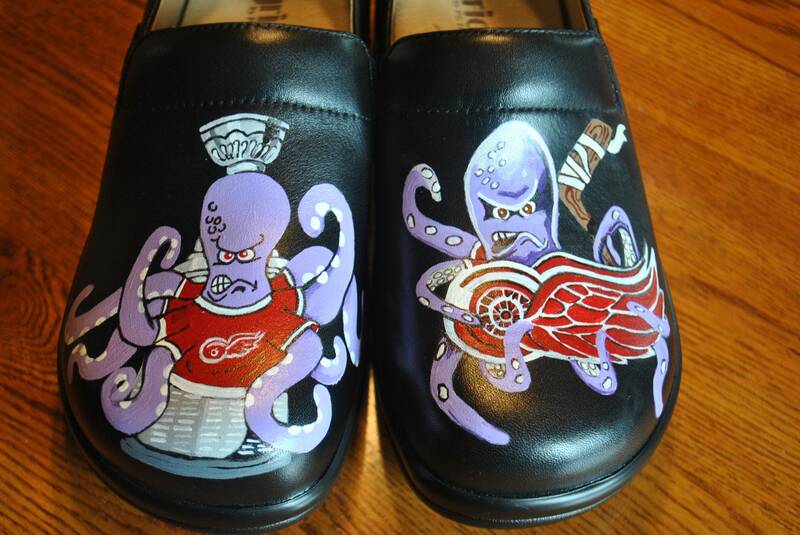 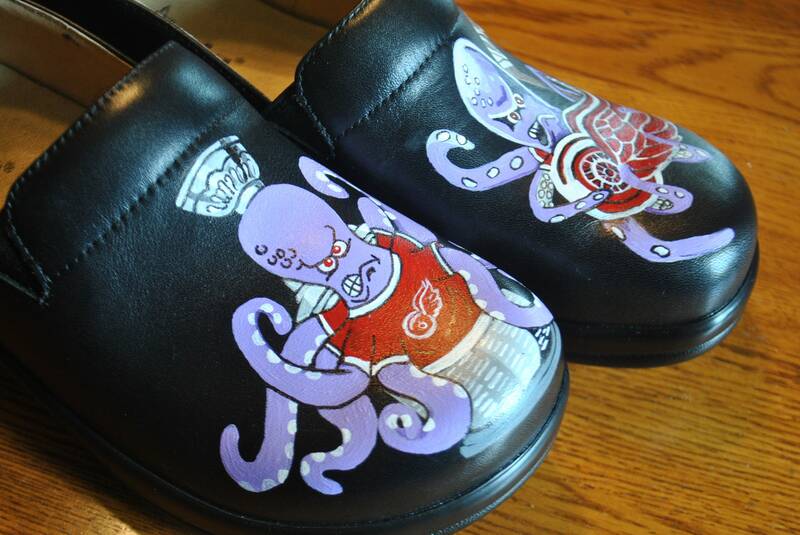 If you are interested in a custom pair of clogs just email me and we can discuss lead time and cost. 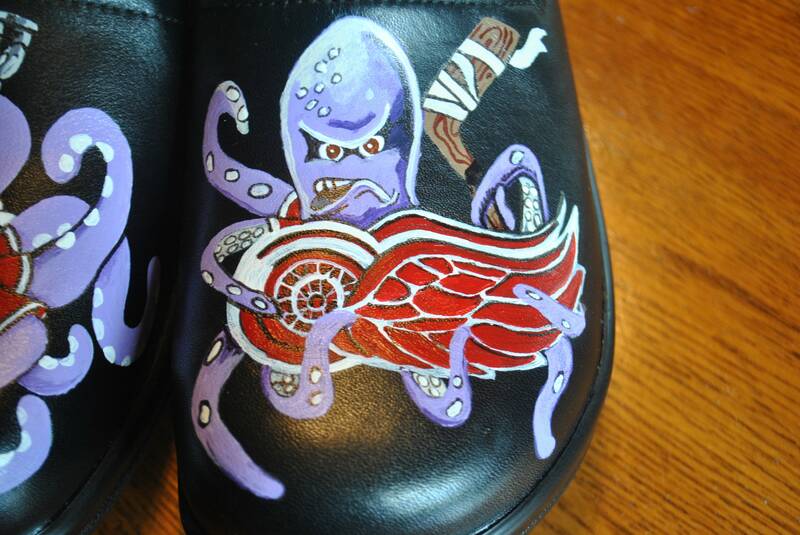 PLEASE NOTE: The customer provided the clogs to be painted. 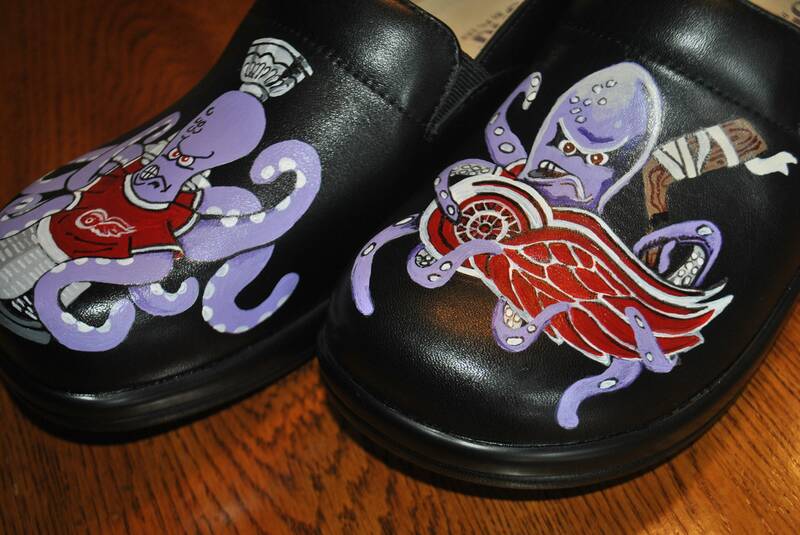 This price is just for the painting of the clogs.